"Know thyself and to thy own Self be true"
The Holistic Therapies we offer begin with easing of the symptoms of ailments leading to the healing of dysfunctional mental states, the causes of psychological, emotional and physical imbalances. 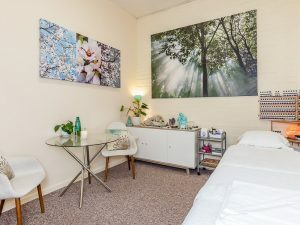 The natural therapies offered are based on connecting people in our safe and nurturing space to core issues to salvage their true "Essence of Self" that is for most people lost in the experience of human living. 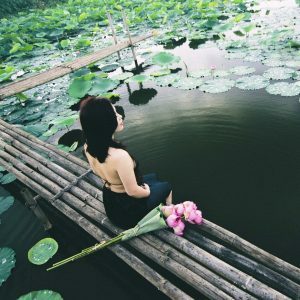 Our comprehensive healing program is intuitively created to restore harmony to the mind body and spirit by empowering you with Spiritual Psychology, life skills and techniques to restore and sustain the longevity of wellness in all areas of your life initiated and cultivated from within you. The key to true healing is an understanding of how the mind's conditions trigger emotional reactions leading to physical ailments and stress we experience as a result. We will help you explore how to use your greatest asset "the mind" to transform your life from the inside out. Our holistic therapies integrate conventional and alternative processes with natural medicine supported by self-development activities for healing, learning and evolving you on all levels to move beyond the limited conditions of mind enjoying new mindsets and conditions that reflect your true nature. As therapists we understand that your uniqueness requires a personalise therapy tailored to your need. 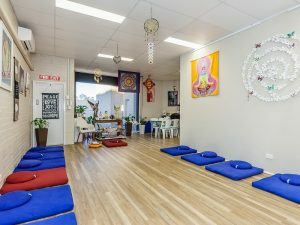 Our therapies are complemented by natural and ancient energy medicine such as flower essence, crystals and gem elixirs, energy healing, sound therapy combine with mind body medicine, meditation and mindfulness techniques. Natural vital force or energy medicine have been used for thousands of years in the healing of the mind-body system. They are still enjoyed today by ancient cultures throughout India, Asia, Polynesia and the indigenous of Australia and are going through a global revival in alternative therapy as people look for less evasive and more gentle holistic therapies addressing the whole psyche of a person. To view the therapies we offer please click any of the following links. We also have gift vouchers available for all our therapies to shopping in the Crystal and Soul Nurture Giftshop or exploring a Meditation and Mindfulness class. Please click this link to purchase a Gift Voucher. Our Meditation and Mindfulness and Group Events offer a variety of group activities that support the whole process of evolving mental and spiritual well-being strengthening the Core of Self. The power of healing is accessed through the unity of group mind, intent and action. Our Organic Gift Shop offers a variety of Self Nurture products including nature medicine we incorporate in our therapies. We support local business and stock natural to organic local produce that we personally choose by meeting the suppliers and creators and trying their creations to ensure the energy and their ethics align with the ethos of our Centre and enlightened community. To view some of the produces you'll find in the Gift Shop when you drop in click Gallery.